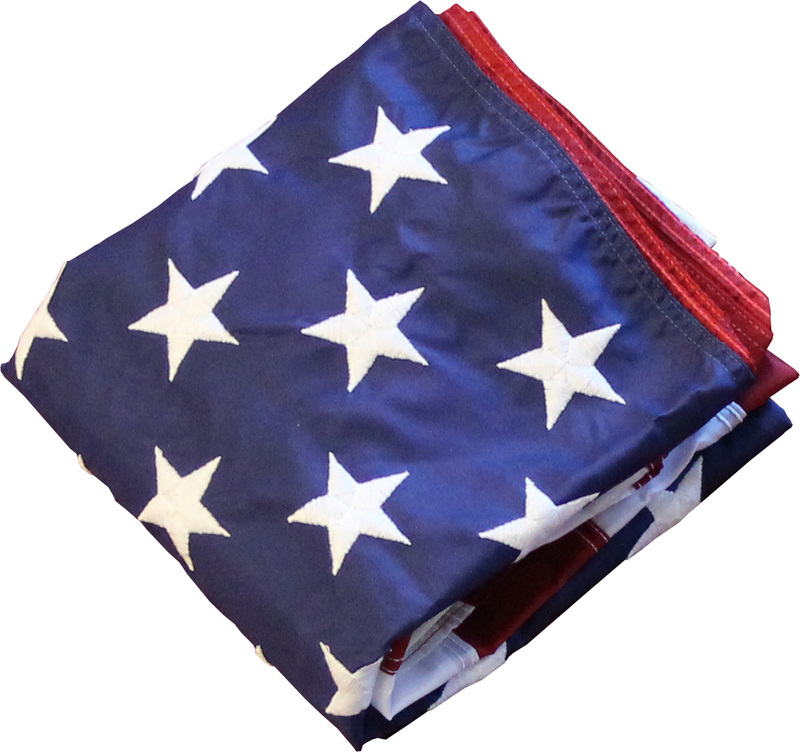 This kit includes a deluxe 3'x5' nylon United States flag featuring hand-sewn stripes and embroidered stars. A telescoping pole with a gold-tone cast aluminum eagle on top, which can be adjusted to 3 different lengths (up to 6'). Pewter finish cast aluminum bracket. Comes with list of flag-flying holidays and flag etiquette. Made in USA.